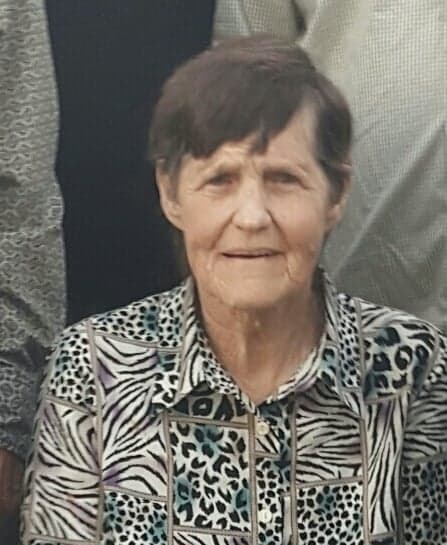 Sylvania – Ella Mae Brower Jones, age 78, passed away on Tuesday, March 26, 2019, at Syl-View Rehabilitation & Memory Care Center. She was born in Screven County to the late Frank & Jannie Irene Cleland Brower. She was a homemaker, worked at the Screven County School System Food Services Dept. and was a member of Sylvania First Baptist Church. Besides her parents, she was preceded in death by a son, Dewayne Jones, a sister, Mattie Lee Goodwin and a brother, James Brower. Survivors: Sons: Keith Gill and Brantley Gill, all of Eastman, GA; Sisters and Brother-In-Law: Dorothy & Bud Odom of Sylvania and Jackie B. Hooks of Millen, GA; Brother: Mims Brower of Sylvania; Grandson: Cody Lane Gill of Eastman, GA; Several Nieces and Nephews. Visitation: Thursday, March 28, 2019, at 10:00 AM until 11:00 AM at Thompson-Strickland-Waters Funeral Home. Funeral Service: Thursday, March 28, 2019 at 11:00 AM at the Thompson-Strickland-Waters Funeral Home Chapel with Dr. Charlie Cooper officiating. Burial following at Screven County Memorial Cemetery. In Lieu of Flowers: Sylvania First Baptist Church, P O Box 318, Sylvania, GA 30467.